We are three very different women. We are different ages, at different stages in our careers. We come from different countries and cultures and have traveled disparate paths to arrive at where we are today. But as women who have dedicated ourselves to the health of people around the world, we are united in a common mission. There are fundamental ties that bind us. As women, we understand the vital role that our gender can play in creating healthy families and healthy communities, drawing on our personal, educational, and career experiences to help formulate holistic approaches to creating a healthier planet for all people. As women health professionals, we see the tremendous potential for women to make a significant mark on global health. But, both as women, and particularly as women health advocates, we also know too well the formidable barriers that women must overcome in order to be able to employ their talents and share their hopeful visions with the world at large. To surmount these obstacles and to realize their potential, women must make their voices heard. And we are encouraged to see that, today, increasingly, those voices are being raised, amplified, and commanding attention. I grew up in Cairo, Egypt, in the 1950’s and 1960’s, in the heady days when country after country in Africa was finally gaining independence from European colonial powers. Coming of age in Egypt then was to be immersed in the promise of a more prosperous future for my country and all its people. And it was an especially exciting period for women as they gained more and more prominence professionally and politically. Throughout my youth, my parents instilled in me a great pride in the women of Egypt. Every time we drove across one of the main bridges in Cairo, they pointed out the statue called “Egypt Awakened,” which depicts a woman in traditional Egyptian dress removing the veil from her face with her left hand while resting her right hand on a replica of the Sphinx, which stands for the nation of Egypt. The statue celebrates women as being connected to history while at the same time looking towards the future. Passing by that powerful sculpture, my parents would speak of Hoda Shaarawy, the Egyptian feminist whom many believe the statue depicts, and they would tell me again and again about how she fought for equal rights and helped women gain the right to vote in the early years of the 20th century. My own mother went to medical school in Egypt in the 1940’s, at a time when few women in the United States were able to become doctors. Half of my own medical school class at Cairo University consisted of women, at a time when women still were only a small fraction of medical school graduates in the U.S. For me, it was a great contradiction to grow up in a society where women could access the highest level of education and occupy prominent professional positions, while at the same time being bound by the deep constraints on women that pervaded my culture and most of the world. That contradiction has been a point of focus and a motivator for me throughout my career in public health in the U.S. and beyond. Over the years, I have been struck again and again by how much harder women need to work to be heard and to succeed. It is not unusual for a woman’s idea or her contribution to go unacknowledged, at least until the very same idea is articulated by a man—a man who is often given all the credit. How many times have women observed this in silence, fearing to challenge the status quo? How many times have institutions and individuals not been willing to give a woman a break while routinely coddling men? How often have women accepted the role of being the force behind a man, knowing well that they are quite capable to be in the lead? These are the realities that women face every day at all levels of society, whether it be working in the trenches or leading from the highest level of power. We know we must work harder, and do more and more, while all the while being compelled to adhere to restrictive norms of behavior and appearance imposed on women. But times are changing—finally. The young women of today are ready to throw off the restraints of the past and step proudly into the light. The women of this emerging generation, as noted in the voices of the two younger women below, are cognizant of their power and are willing to fight to get what they rightfully deserve. And in the field of public health, what they want most is not only to serve but also to lead—to bring their ideas and their capabilities into play unfettered, with the same confidence and recognition that their male counterparts enjoy. Women involved in the field of global health are aware that they represent the majority of the workforce engaged in this work. They know that they bring the knowledge, skills, and sensibilities that are needed to address global health challenges. They value working in teams across disciplines, engagement with communities, collaborative decision-making and building bridges across all sectors of society. They are the future that Hoda Shaarawy envisioned and that my mother foresaw for me and for women overall. After a long career carrying this vision with me, I am gratified to see it finally coming into focus. I know that the women who carry on this legacy will indeed make our world a healthier place for all. 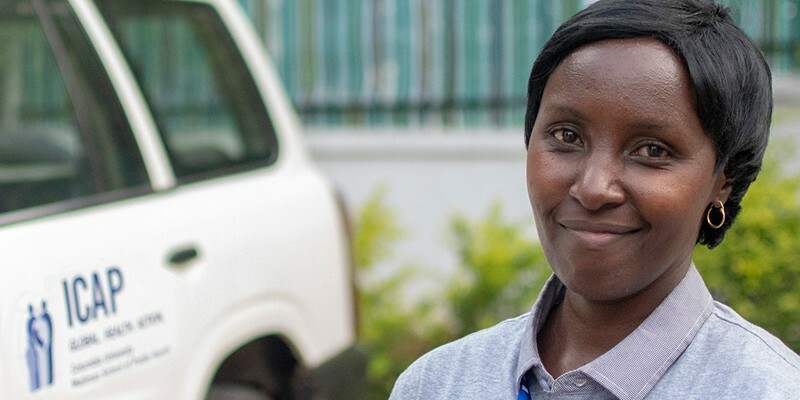 Women are vital to the advancement of global health, making up 75% of the health care workforce yet occupying less than 25% of influential leadership positions. In Africa, and especially in Kenya, the picture is even more discouraging, with only a handful of women occupying influential leadership positions in health. As a girl growing up in rural Africa, I was lucky to have received a good education, which created many opportunities for me. In Kenya, for most people of my generation, a high school education or a college degree was and is still the one path out of the drudgery of subsistence farming or the cultivation of cash crops for little return. My school and home were typical for their time. They had walls of mud, floors of earth, and tin roofs all constructed and continually repaired with a mixture of mud and cow dung by the women in my life. From a young age I vowed that, when I received a good education, I would work to liberate the women in my life and beyond. My passion to promote a well-balanced functional health system was also triggered by growing up in a large extended family with a hard-working mother, aunties, grandmothers, and the other women in my life who were not empowered and had no opportunity to have a voice in their communities. The influential leadership positions in my community were all held by men who made every decision about health, including the number of children to be born in a family, when to get immunizations, when to eat the food cooked by the women. Many of these decisions should have been made in consultation with the women, or made by the women themselves, but they never were. It was not easy to see the women in my community, including my mother, walk for long distances to reach a health facility or lug water to our home from the stream day-in and day-out. Having overcome the challenges of growing in a community with disempowered women, my journey to where I am today began 20 years ago when I graduated as a young medical clinician ready to serve the community that raised funds to educate me and trusted my abilities. Through my clinical practice I was able to interact with women clinicians who have mentored me. The journey has not always been smooth because I have always had to prove my strength and independence among a male-dominated health sector, especially when I had a young family with children to nurture. But thanks in great part to the wonderful women mentors that crossed my path and continue to work with me, I have been able to make notable contributions to the global and national public health sectors in the areas of public health innovation, strengthening demand, and access to and quality of HIV prevention, care and treatment services for underserved African populations. Being a successful woman leader in the public health sector requires emotional, intellectual, and mental strength. It may be hard for some women to become strong and independent, but with perseverance and self-confidence, we can all achieve the respect and autonomy we deserve. To make the greatest impact possible, I have invested my energies and knowledge of the health systems in Africa to forge partnerships and strategically work with the ministry of health, private sector faith-based organizations, and non-governmental organizations to leverage the successes and lessons of HIV scale-up to strengthen health systems globally. I have learned always to aim high, work hard, and care deeply about the health and education of communities, especially communities of women and children in Africa. When I stumble and life knocks me down, I get right back up and never listen to anyone who says you can’t or shouldn’t go on. I leave no stone unturned for the health of the people I serve. As the conduits of life for all humankind, women are natural born leaders. They have served as informal health care providers, educators, and mentors to their family members for centuries, largely without recognition. Growing up in Jamaica, I witnessed women play this role for their children. Plagued by the legacy of slavery, my community continues to suffer from the repercussions of a system focused on reproduction as a means to increase the workforce rather than to stabilize the family. While their male counterparts had the autonomy to disconnect from this family structure—taking on other sexual partners, solely devoting themselves to work, or sadly abandoning their children—mothers, grandmothers, aunts, and sisters were expected to take on caregiving responsibilities for infants and the elderly. As a millennial, I grew up in a time when these same women not only assumed these normative responsibilities but also established meaningful careers. As such, I refuse to allow patriarchal structures to prevent me from promoting a culture of health for black people on a global scale. While there is a huge gender disparity in global health leadership, I feel that my womanhood better equips me to effectively function in these roles. This is because the normative role of women within my community has forced my gender to build close interpersonal relationships within our community that foster a passion for quality care, cultural competence, justice, and equity—all of which are essential to public health leadership. Jamaican popular culture overly sexualizes women without the law enforcement and mediums necessary to protect them from and allow them to report sexual violence. Consequently, I am endowed with the responsibility to protect my gender through becoming the next generation of governance within my home country. Prioritization of women’s health issues requires the presence of women as major leaders pushing for change. While Jamaica can take pride in having a female prime minister, we have not had a female minister of health in over 20 years. With so many pressing health concerns that stem from the legacy of patriarchy, there is a need for female leadership within these kinds of roles. It is only this leadership that can galvanize women around their shared health concerns. The future is bright because, thus far, Jamaican women have advocated for stronger policy on domestic abuse, sexual assault, and reproductive health. But we must remember that these wins are milestones on the long road we are traveling, and we must keep pushing forward to hold and extend our gains. Fortunately, we are in an age where this tide will turn. Growing up in a community with female health professionals who built revered careers in health. These women’s invaluable work has compelled my country to witness the true worth of women within the field of public health. Rewriting organizational gender dynamics, these women enable future women leaders in global health, like myself, to have role models whose footsteps can be followed—building upon their legacies as we create our own vision of public health for all. Standing together today as three women engaged in global and in public health, we believe that societies must recognize and embrace women’s leadership through hosting gender-balanced events, setting up recognition systems, and putting policies in place to actively recruit women leaders at all levels in the health system, locally and globally. Such actions can go a long way to institutional restructuring that will provide support to women both in building their careers and in charting their paths to the leadership positions they deserve. Women seek leadership not for its own sake, but out of a deep-seated desire to achieve health and well-being for all. Wafaa El-Sadr is global director of ICAP at Columbia University and professor of epidemiology and medicine at Columbia University, New York, NY. Doris Naitore is director for health strategies at ICAP in Kenya, Nairobi, Kenya. Ashley Grey is a student at the Columbia University Mailman School of Public Health, New York, NY.